Sarah Hughes is the assistant director of the Orange County Women’s Chorus in Laguna Hills, CA. She holds a Bachelor of Music degree in music education with an emphasis in voice from the Conservatory of Music at Chapman University in Orange, CA. She also completed her Master of Arts degree in teaching at Chapman University in the College of educational studies. Sarah has a long history of singing with choirs. Some of her most memorable performances include singing Kirke Mechem’s Songs of the Slave in Carnegie Hall; singing the soprano solos for the Mozart Requiem with Mesa Verde United Methodist; conducting and performing with the OCWC at the 2015 National Eisteddfod of Wales; singing the soprano solos in Haydn’s Little Organ Mass with Mesa Verde United Methodist; performing at the 2012 ACDA Western Division Conference with the OCWC; and singing the soprano solos for Debussy's Salut Printemps with the Chapman Chamber Orchestra. Sarah’s passion for music led her to pursue a career in teaching and conducting. She has directed high school summer choral camps, teaching styles ranging from Baroque classics to show choir pop arrangements. 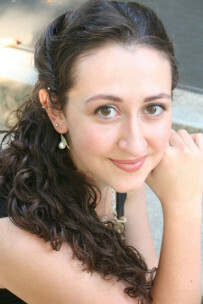 In addition to working with high school students, Sarah specializes in church music for both youth and adult choirs. Sarah currently teaches music to students in K-5th grade in Fountain Valley School District and maintains a private voice studio. If she’s not swing dancing the night away or scaling rock walls, you’ll find her curled up with a cup of coffee and knitting needles.